I saw a celebration of Ayn Rand online the other day (her birthday was Feb. 2). So thought I would post this, though I don't think you can really describe it as being in honor of her birthday. I don’t like really like Ayn Rand’s fiction. If I just thought it was bad fiction, I would probably ignore it. I usually only criticize fiction when it is masquerading as history. But many people seem to think that Rand’s fiction has important things to say about reality. One of the central messages seems to be that progress depends on the efforts of a few great people. In general, American’s seem to like “Great Man” theories of business history. If you want to sell books write another big biography of J.P. Morgan, Ford, Rockefeller, Vanderbilt, or Carnegie. Rand’s heroes are extreme versions of the great man theory of business history. They tend to start with nothing and struggle ceaselessly against both the government and all of the ignorant, incompetent and just plain lazy people that surround them. The problem is that these stories do not resemble the stories of actual business history. I have seen it suggested that Nathaniel Taggart was a thinly veiled version of James J. Hill, the Empire Builder, who built the Great Northern across the northern plains without any government grants or assistance. Hill was a very successful railroad executive, but he did not build the Great Northern without government assistance. First, as John Rea noted years ago the Great Northern was built on the foundation of the failed St. Paul and Pacific Railroad, which had received 3 million acres in land grants (Rae, John B. "The Great Northern's Land Grant." The Journal of Economic History 12, no. 2 (1952): 140-145). One might, of course, argue that Hill and his partners did not directly receive the grants; they had to pay for them when they purchased the bankrupt railroad (though it should be noted that one of Hill’s partners was a lawyer who was also serving as the trustee for the bondholders). So, let’s put those land grants aside. Unlike the land grant subsidies, the Right of Way Act did not bestow special treatment on particular railroads. Consequently, it might be viewed as another step toward an open access order, like general incorporation and free banking laws. On the other hand, it does not seem reasonable to claim that being allowed to build on public land is nothing. The federal government had purchased the land in the Louisiana Purchase, and the federal government had driven Native American on to reservations to make way for railroads and settlers. 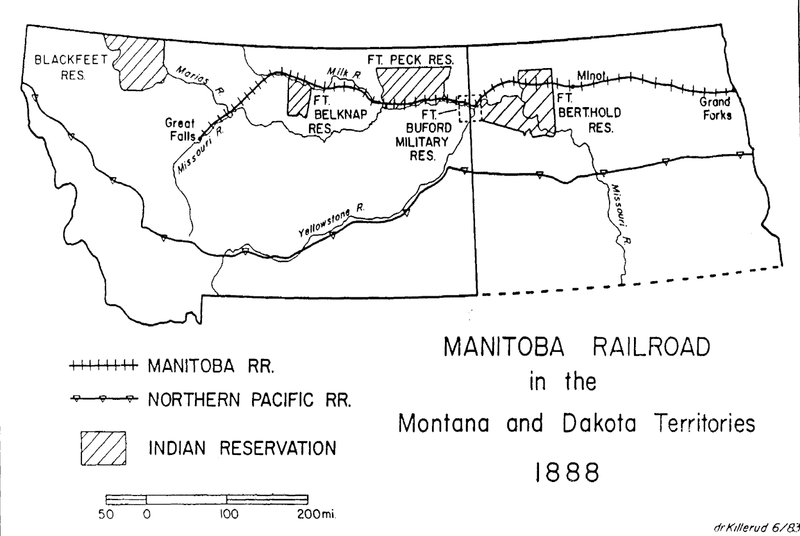 Minnesota, North Dakota, Montana, Idaho and Washington, were not un-populated lands waiting for James J. Hill to build a railroad and promote pioneer settlers. They first needed to be depopulated. This was done courtesy of the United States government. 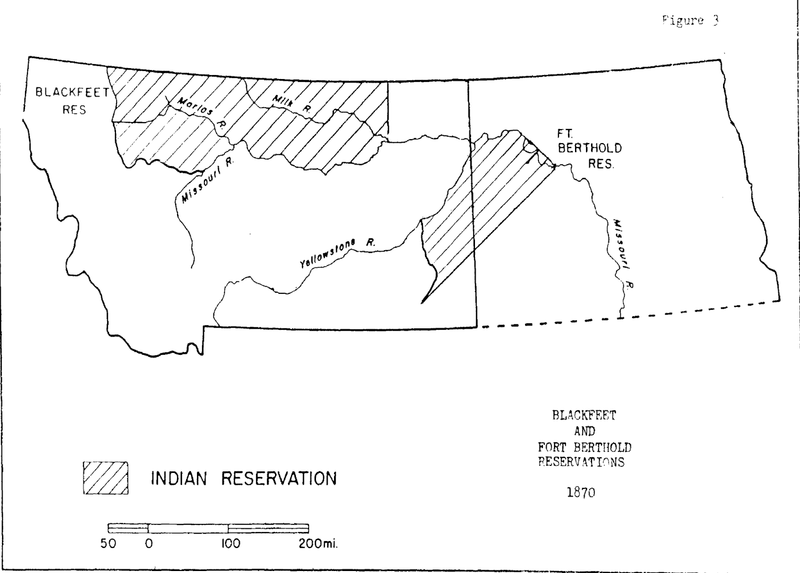 These are the locations of Native American reservations when Hill went to build his railroad. It turns out, however, that even driving Native Americans on to reservations was not enough for Hill, because one of the best routes required going through a reservation. Hill appears to have been able to put aside his aversion to the government to lobby to either have the size of the reservation reduced or be given the right of way to build on the reservation (Smith, Dennis J. "Procuring a right-of-way: James J. Hill and Indian reservations 1886-1888." (1983) see also White, W. Thomas. "A Gilded Age Businessman in Politics: James J. Hill, the Northwest, and the American Presidency, 1884-1912." Pacific Historical Review 57, no. 4 (1988): 439-456. Fans of Hill, like Burton Folsom see only Hill’s business genius: “James J. Hill showed us the right way to build infrastructure. He built slowly and chose the best routes. When Hill learned that the best route west probably lay through the Marias Pass in Montana, he was determined to build his railroad there. The explorers Lewis and Clark had traveled through the Marias Pass and discussed it in their diaries. But in the 1880s, no one knew where it was. Hill’s chief engineer, John Frank Stevens, trekked through the Rockies in Montana with a Blackfoot Indian guide named Coonsah. 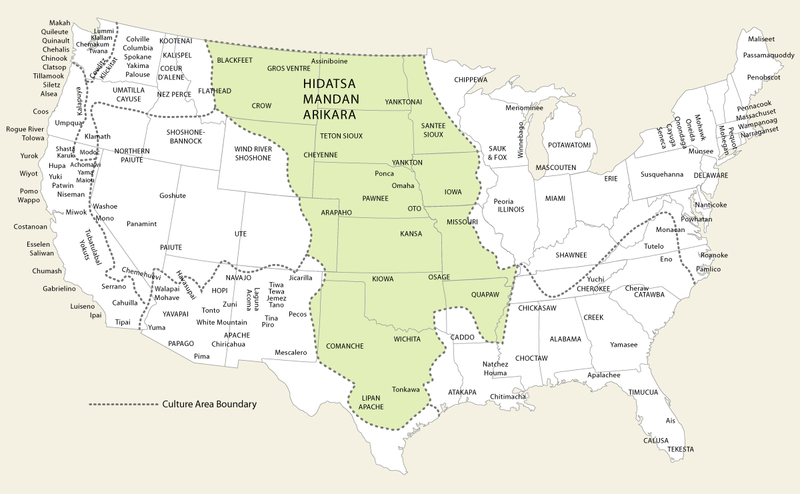 The pair located the Marias Pass, and Hill used that shorter route to save many miles of construction.” But we should remember that the crossing of the Marias Pass was preceded by the Marias Massacre in which U.S troops killed around 200 Blackfeet men, women and children. In other words, Nathaniel Taggart and the Taggart Transcontinental are fictions based on myth. 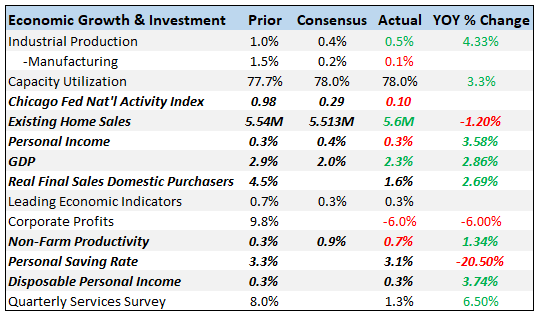 The self-made man, who not only receives no aid but must constantly battle the weak and stupid people around him, is also not what American business history looks like. Pamela Walker Laird’s Pull picks apart this myth, exploring the many ways in which self-made men like Ben Franklin and Andrew Carnegie actually benefited from the aid of others. Henry Ford’s “invention of the automated assembly line” depended on the work of Charles Sorensen, Walter Flanders, Clarence Avery, and Ed Martin. Edison worked with the mathematician Francis Upton to develop his version of a light bulb. Mc Donalds is the result of both the McDonald’s brothers’ vision of a fast food restaurant and Ray Kroc’s vision of how far it could be taken. The story of Ellis Wyatt, who “had discovered some way to revive exhausted oil wells and he had proceeded to revive them” is illustrative. In Rand’s imagination an entire region was revitalized and “One man had done it, and he had done it in eight years.” The process of getting oil out of places that people had thought it impractical if not impossible sounds a lot like fracking. In reality, many people played a role in developing fracking. In 2006, the Society of Petroleum Engineers honored nine people as pioneers in the development of fracking. To be clear, I do believe that what Schumpeter referred to as the creative response is central to economic growth and development. And I believe that an open access society in which people are generally allowed to pursue these creative actions is likely to be most conducive to human welfare. I am, after all, and economist. I like voluntary exchange in markets and I think people respond to incentives. I just don't believe in the sort of philosophy that regards whatever someone earns as "the fruits of their labor" as if the amount of fruit that you get in life doesn't depend crucially on the society your were born into and you place in it, things that have nothing to do with your labor. I don't see evidence that the creative response the creative response is the result of a select group of great people struggling against the ignorant and ignoble masses who seek to hold them back. My reading of history suggests that these creative people depend upon both the help of others, their society, and an effective government.